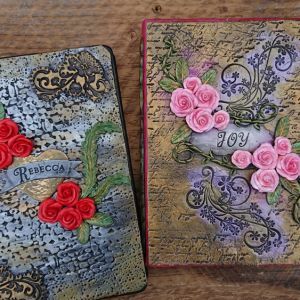 Here’s a gallery of photos with my latest refillable journal. 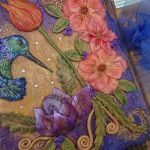 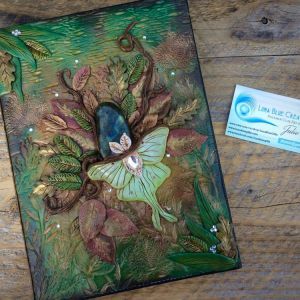 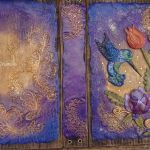 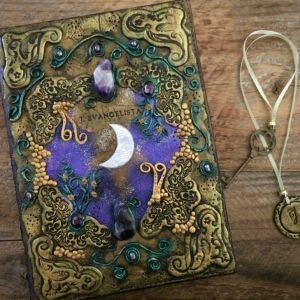 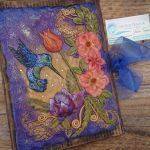 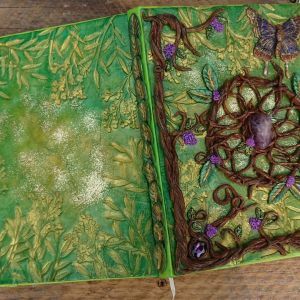 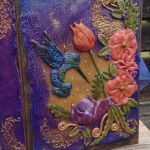 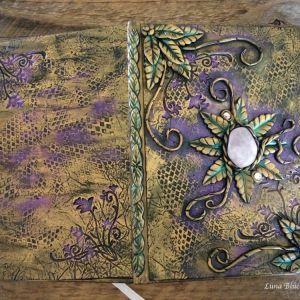 This journal design is with hummingbird and amethyst cabochon. 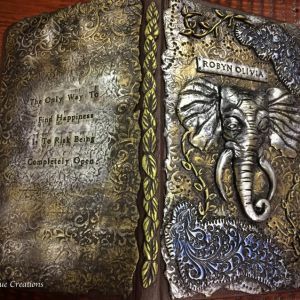 This cover has 4 sections and could take custom size paper. 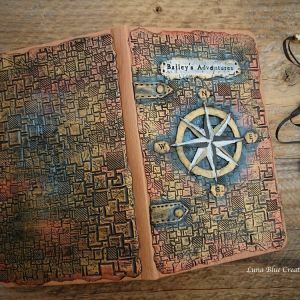 The size of this journal is 10.5 x 7.5 inches. 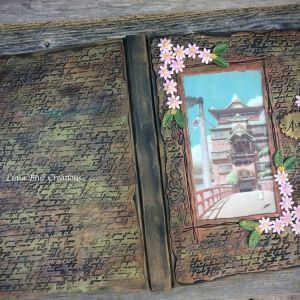 It has 160 pages of mixed media paper, coffee stained. 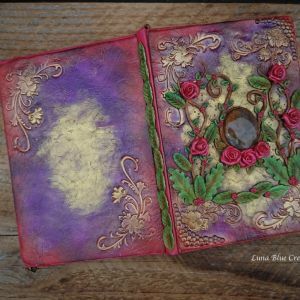 I also added a pocket at the back cover for important stuff. 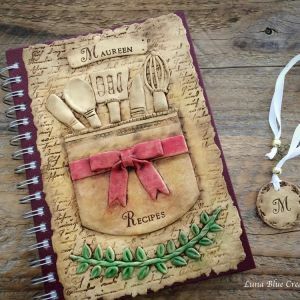 It is truly a unique polymer clay cover.